• Flat Rs. 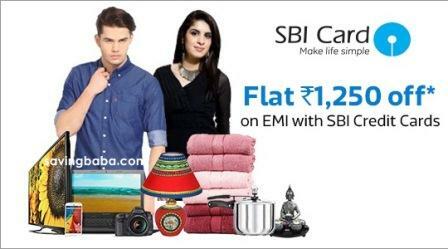 1250 off on EMI transactions using SBI Credit Cards issued in India. • The Offer is valid from February 15, 2016 (00:00 Hours) to February 17, 2016 (23:59 Hours). • The minimum transaction amount to avail the Offer is Rs. 10000. 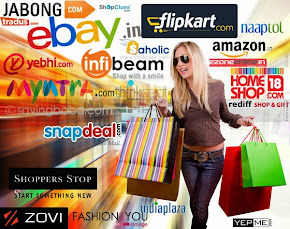 • Maximum discount per card is Rs. 1250. • Maximum one transaction allowed per card. • Offer is valid on EMI transactions only. 14% Rate of interest applicable on monthly reducing balance for EMI transactions on SBI Credit Card. SBI Credit Cards – Rs. 1250 off on Rs. 10000+: An instant discount will be awarded at the time of making the payment. Payment Method > EMI > State Bank of India > Select a plan > Enter SBI Credit Card Details.